I am rarely a big fan of croissant mainly because it is always too buttery and fatty, but I found the ones from Carton is light weight , crispy ( fluffy ) and most importantly not greasy at all. Highly recommend this place for pastry especially croissant. Didn’t take a nice photo of it but here it is with a wrapping paper , hehe, so now have to guess its look ! 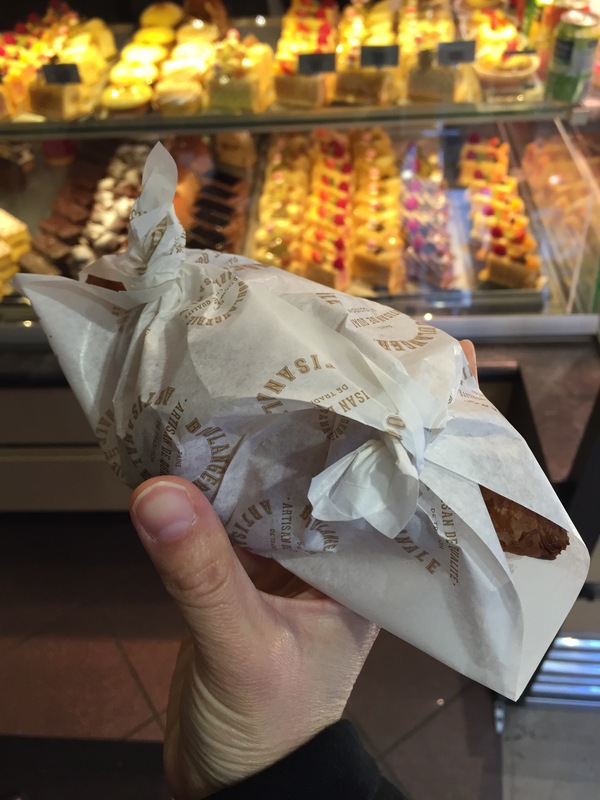 This entry was posted in Eat and tagged boulangerie carton, carton paris, croissant paris, paris food. Bookmark the permalink.